Autodesk’s acquisition of construction software startup BuildingConnected for $275 million just one month after buying PlanGrid means it’s spent $1.15 billion on two startups in this category in one month. BuildingConnected makes a bid management platform that generates project-specific risk mitigation recommendations based on subcontractor qualification data. The software is meant to help contractors efficiently vet and make more informed decisions when selecting subcontractors. PlanGrid’s software helps general contractors, subcontractors and owners in commercial, heavy civil and other industries collaborate in real time on projects. It gives users access to project plans, punch lists, project tasks, progress photos, daily field reports, submittals and other features. More than 12,000 worldwide customers have used the mobile-first platform on more than one million construction projects. 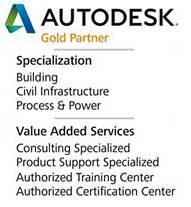 Our mission is making you successful with your design automation using Autodesk technology.